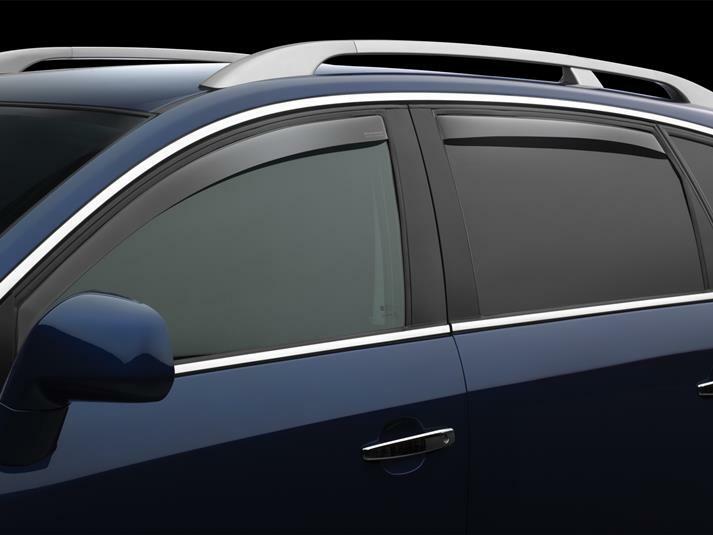 WeatherTech Side Window Deflectors are precision-machined to perfectly fit your 2004 Suzuki XL-7's window channel. These low profile window deflectors help to reduce wind noise and allow interior heat to escape. Our light tinted Side Window Deflectors are the only deflectors in the world made with a D.O.T. (U.S. Department of Transportation) approved glazing material. Available in light and dark tint for most vehicles. Designed and Engineered in USA – Handcrafted in Germany. I would like to applaud you on the excellent products you sell, in particular your WeatherTech Side Window Deflectors. I recently purchased them for my 2002 Suzuki XL-7. They fit like a glove and perform better than I anticipated. I like the custom look without the mounting tape your competitors use. Keep up the good work MacNeil.